Romer Young Gallery is pleased to present its second solo exhibition with Kirk Stoller, I Hope I Don’t Fall Down. I Hope I Don’t Fall Down examines the instability of remaining upright against gravity but explores this from a point of view where doubt is explicit, and determination an underlying question. This exhibition is a companion show to Stoller's recent exhibition at Galerie Axel Obiger in Berlin. For that show, I Will Stay Erect, Stoller adopted the opposite point of reference; a hint of self-doubt betrayed the determination of the show’s title. Connection and support are consistent themes in Stoller's work. Stoller builds sculptures using found wood, plastics, and parts of things that he divorces from their original context. These weathered materials are then combined with glossy and colorful surfaces which the artist handcrafts with careful consideration. Stoller accentuates relationships between the various incorporated items based on formal issues such as shape, color, and pattern, while also taking into account the evidence of past actions contained in many of the parts. Through these juxtapositions, narratives arise that offer insight into the way in which Stoller makes sense of the world. "All life is a collection of small, precariously placed pieces that rely on each other for strength, whether that is of actual form or simply memories of past events that may have been experienced." Kirk Stoller was born in Oregon and was raised on a small farm outside of Portland. He received his BA in French Language from Portland State and his MFA from UC Berkeley. Stoller's work was recently exhibited at Mary Ryan Gallery in New York and Galerie Axel Obiger in Berlin. 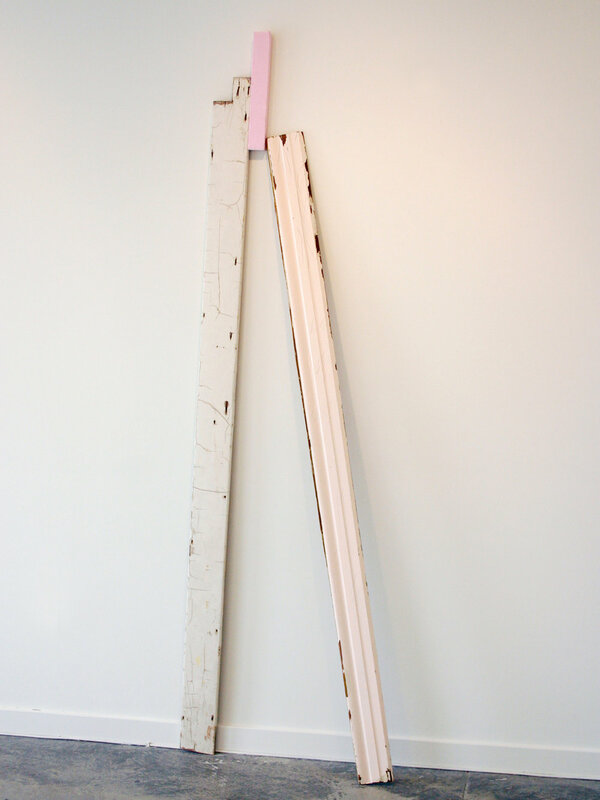 Stoller was the 2010-2011 recipient of the Marie Walsh Sharpe Art Foundation Studio Residency in New York, and was also a studio resident at the Headlands Center for the Arts from 2004 - 2007, and at the MacDowell Art Colony in 2008.